Exciting news about a new innovative partnership we are helping develop that we believe may be game changing for thyroid patients in the UK. 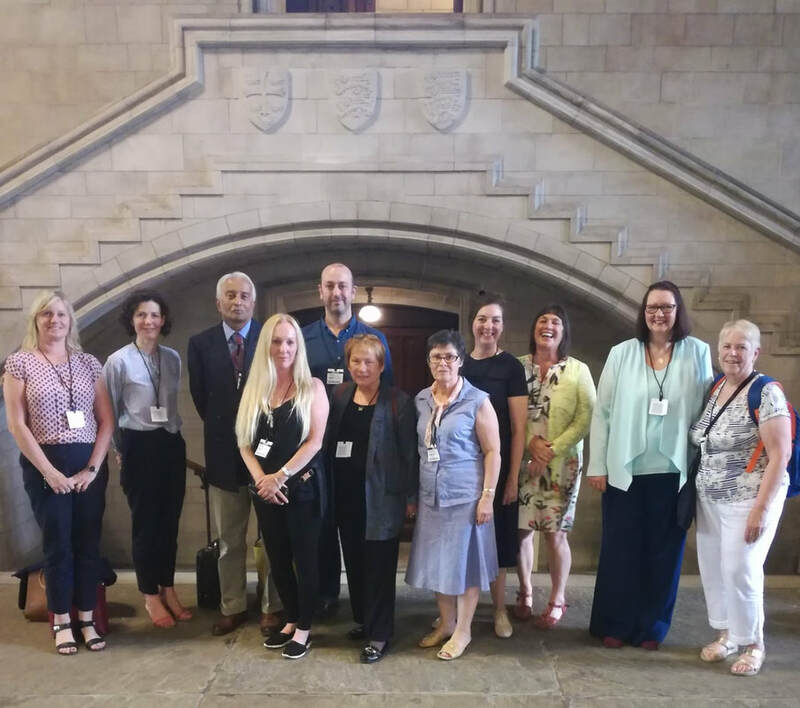 We are now embarking on a project working with other thyroid organisations including the specialists’ professional body, BTA, following our multi stakeholder follow up meeting to the recent HoL debate, yesterday, kindly organised by Lord Hunt of Kings Heath. What does that mean? Hopefully that government will take decisive action to address local CCG guidelines and policies which we have found are counter to NHS principles and national guidance (national guidance has been misinterpreted and patients are suffering as a result). By working in partnership we recognise we can all learn from each other and increase our capacity to make an impact. We have already started the process of informal partnership working with 4 other organisations. 3 significant new partners agreed to work with that group today, including the BTA and we have clear short term goal and longer term ambitions. Short term goal – to jointly produce a report that will evidence how locally produced prescribing guidelines, for the thyroid drug liothyronine, are counter to NHS principles and national guidance and causing harm to thyroid patients (and several of us would also like us to make the point this will be costing the NHS money since it is making people with chronic conditions more unwell … we need to discuss this further though, as it may be too complex a point to try and get over in a hard hitting report). Longer term to improve GP and public understanding of thyroid disorders and generally improve health and wellbeing outcomes for thyroid patients. We are looking forward to following up with our new project partners and formalising scope, plans, etc. Watch this space. Our partners for this project, so far are: British Thyroid Association, British Thyroid Foundation, Improving Thyroid Treatment, Midlands Thyroid Group, Norfolk Thyroid Group, Thyroid Patient Advocacy and Thyroid UK. We are enjoying the process of getting to know everyone and are grateful for everyone's collaboration and input so far. We are also grateful for the incredible support of everyone who has advised and supported us to get this far. Particularly: Lord Borwick, Lord Hunt, Vince Cable and all the peers and MPs who spoke up for thyroid patients in the debates, Dr Anthony Toft and our friends at: The Patients Association, National Voices, World Health Innovation Summit, NHS England, AMRC, Camden Volunteer Action, Cancer Research UK, our incredible Trustees, Judith Taylor, Mr Fausto Palazzo, Karen George, Theresa Baker and Douglas Pescott Frost, our amazing volunteer Team, every one of our supporters and everyone who has kindly shared information with us to help us develop our understanding and put together a powerful evidence base for this project. Read more about the liothyronine story here. If you'd like to tell us your thyroid story you can submit your story here. We hope you're well and wanted to remind you of our March event details so you can book if you are intending to come, if you haven't already - AND - to share details of two very exciting speakers we have now confirmed for later in the year. 24 November - Dr Anthony Toft will give a talk about The Management of Hypothyroidism. All of the above (and our May event, programme tbc) will take place at our usual venue, Crown Court Church, Russell Street, Covent Garden, London WC2B 5EZ. We have noted feedback that unfortunately this venue is not very easily accessible for those with mobility issues, as the hall is down some stairs and the toilets are below, down further stairs. We apologise for this and are now looking for a new venue for 2019. We would welcome any suggestions you may have. Unfortunately because we have put up posters around London advertising the Covent Garden venue for all events for this year, we don't think it's an option to move these events. However we welcome further feedback on this and may reconsider. It's a tricky one. What do you think? Please book now for March - if you're planning to come along. The link and calendar on our events page also have further information and you can purchase Dr Toft's excellent book "Understanding Thyroid Disorders" directly from Amazon using this link which will give a small % back to The Thyroid Trust. Please also feel free to share the March event details via Facebook to help spread the word if you would like to. Or you can download a poster to display here. We sent the above message to our contacts a week or so ago and thought it would be good to also share online. What do you think of our first blog post? Comments and ideas for future posts are welcome!